There are many crystal chandeliers to be found commercially. 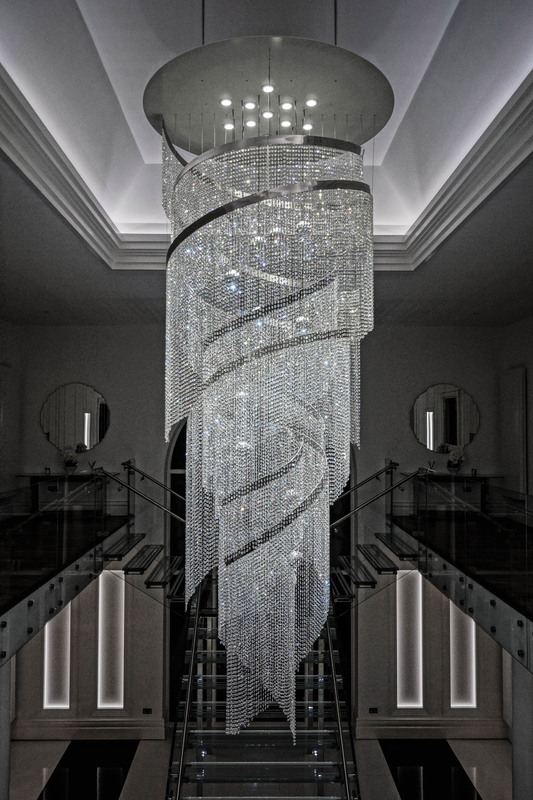 We initially started producing our own designs in response to clients' specifications where a higher quality of crystal was required, coupled with better lighting and control. We also wanted to try and push the overall designs towards a more sculptural, more contemporary feel whilst still maintaining an element of the traditional sparkle people associate with cut crystal. Each of our ranges utilise high quality Austrian crystal and remote controllable LED downlights within the top plate. Combining fine Austrian Crystal with polished hand rolled stainless steel bands or 'swooshes'. Creating a dense curtain of shimmering light by illuminating four spirals of overlaid crystal. 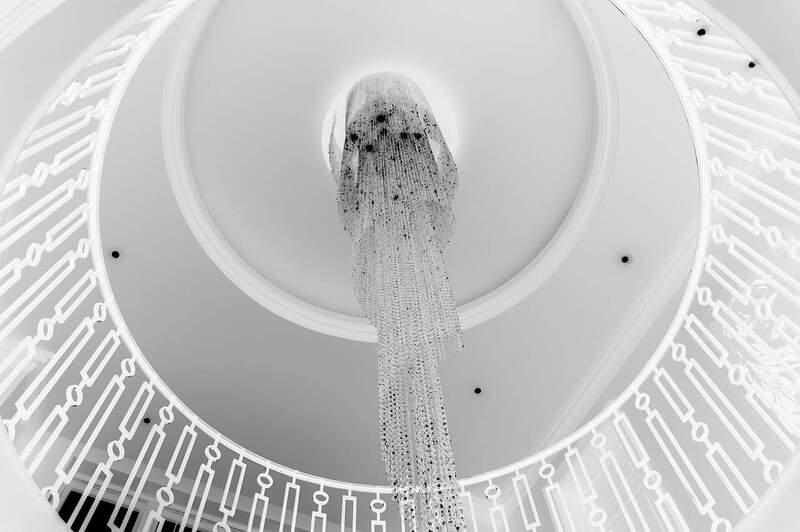 400 chains of illuminated crystal , each suspended on an 'invisible' wire , combine together to form this mesmeric shape. Chandeliers and Lighting installations for corporate clients. Page created in 0.578194 seconds.